What are the 2018 Land Rover Range Rover Velar Safety Features? No matter which type of vehicle you prefer to drive, there’s one thing every Arnold driver can agree on, and that’s staying safe whenever you’re behind the wheel. For those who opt for the 2018 Land Rover Range Rover Velar, you’ll enjoy a variety of safety features that provide you with peace of mind and the ultimate prevention and protection. Explore more about the 2018 Land Rover Range Rover Velar safety features below. Most Baltimore drivers think of the Land Rover models as luxury vehicles that don’t do anything but look nice. However, when it comes to protection, the 2018 Land Rover Range Rover Velar safety features are second to none. With innovative technologies designed to prevent and protect, you’ll rest assured you made the right choice. Land Rover Annapolis has a nice inventory of this new Land Rover model to explore. 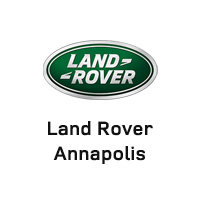 Visit our dealership at 101 Ferguson Road in Annapolis, MD, or contact us at (410) 904-3108 to schedule your test drive or see our vehicle specials.